For the first edition of DAMA Neumeister Bar-Am are happy to present a solo presentation with new works by painter Priscilla Tea (Italy, 1983). Priscilla Tea has always worked from the same formal constraint, that of the landscape painting. Inspired in the mid noughties by the work of her peer, the artist and architect Andreas Angelidakis, especially that in the online virtual world ‘Second Life’, Tea set out to explore what a contemporary vista was. Since then her paintings have drawn on the ideology of the expansive, endless online space. 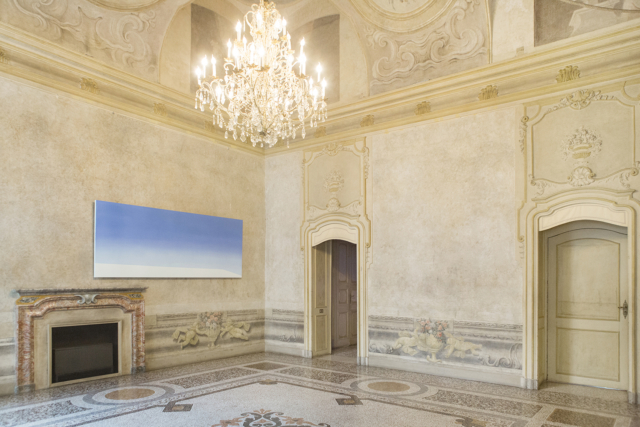 Huge paintings, up to 10 meters long, explore subtle gestures familiar to the screen, combining fragments of architecture and horizon lines. Painted with the best oil colours in fine brush strokes these works challenge the uninhabitable landscape of the online, bringing the essence into effect in a physical space.